Geophysics is the study of the substances that make up the Earth and the physical processes occurring on, in and above it. 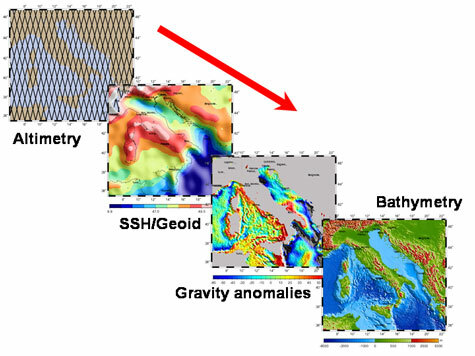 Information derived from altimetry data can be used to study the Earth’s shape and size, gravity anomalies (geodesy), seafloor relief (bathymetry), tectonic plate motion and rifts (geophysics), etc. Although often linked to plate tectonics, tsunamis are very different, transient phenomena. However, their impact on the sea surface can be seen by altimeters in some cases, thus helping the study of their propagation.